This Dolmen Dresser is no longer available. 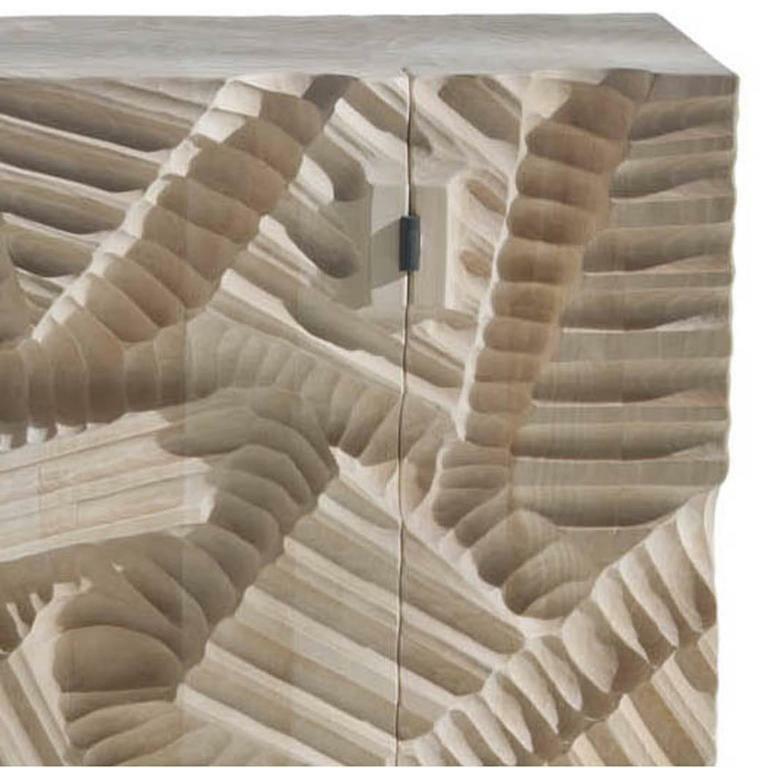 This striking two-door dresser is carved out of a single piece of wood and hand-finished in full relief with a gouge. The steel lock and the metal hinges are handmade. Inside, there is a practical shelf that can be removed. 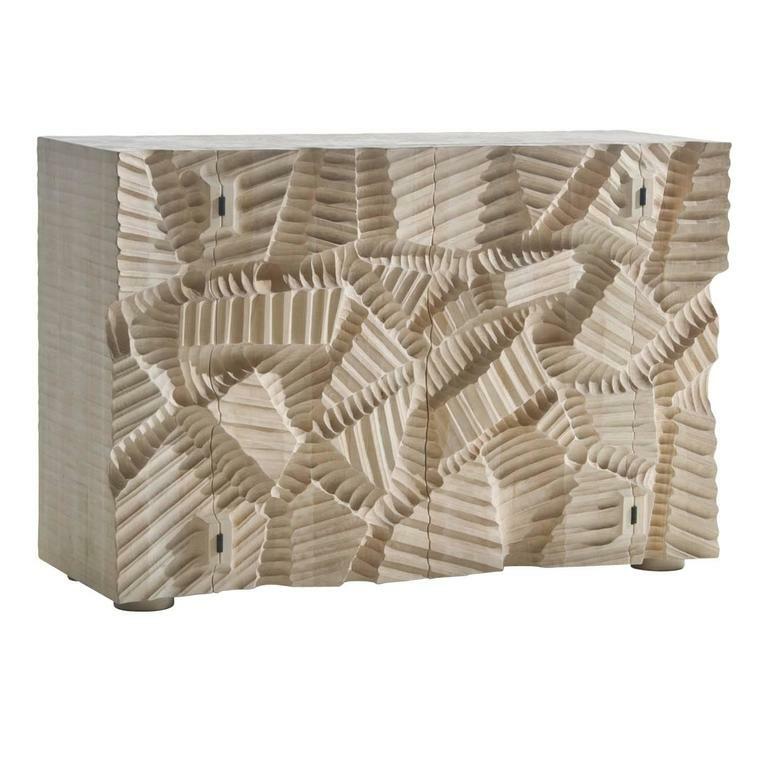 Outside, the decorative pattern is evocative of primordial and natural forces. 19th century English 4 door dresser base with 2 slides, 1840. Dimensions: 86.5 inches (220 cms) wide 17 inches (43 cms) deep 35 inches (89 cms) high. Glamorous nine-drawer dresser by Sarreid. Sideboard is clad in brass with nailhead trim.